Nicole Leiren here on behalf of Lilly Waters, bartender extraordinaire from The Smugglers’ Tavern in Danger Cove, Washington. 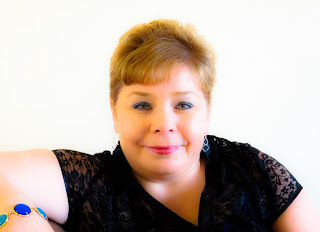 Lilly, like myself, is no Betty Crocker (or Martha Stewart) so we both have a great deal of appreciation for all the amazing culinary creators that grace the pages of this blog. Lilly lived in New Orleans for a short time before moving to Danger Cove. That’s where she learned to make her famous hurricanes that are featured in “Heroes and Hurricanes.” Named after the lamp shaped glasses the drink was served in when they were originally served at Pat O’Brien’s bar in New Orleans, the hurricane is a fresh, fruity drink that has been enjoyed by thirsty people since the 1940’s. Shake all ingredients in a cocktail shaker with ice (Lilly does a little dance during this part, but you can skip that if you want) and strain into a Hurricane glass filled with ice. Garnish with a cherry and an orange slice. 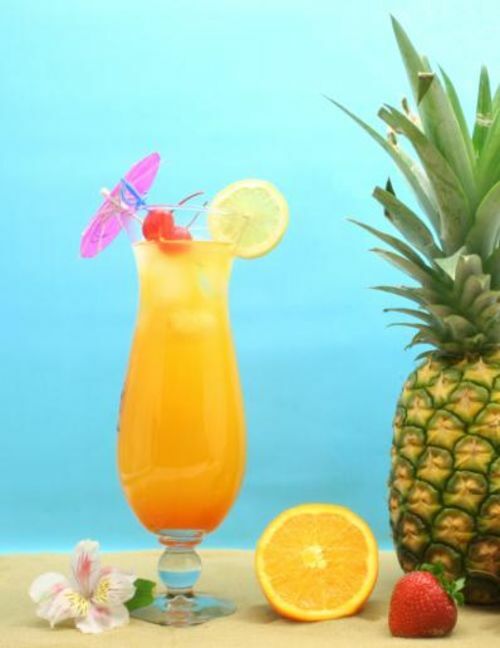 To make the virgin version, simply leave out the light and dark rum and garnish with your favorite fruit! 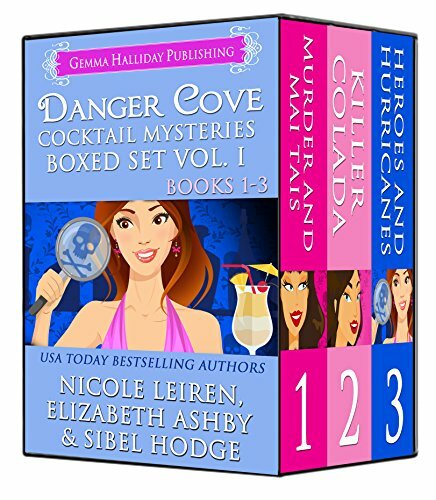 Want to learn more about Lilly and her special cocktails (and how she catches the bad guys?) 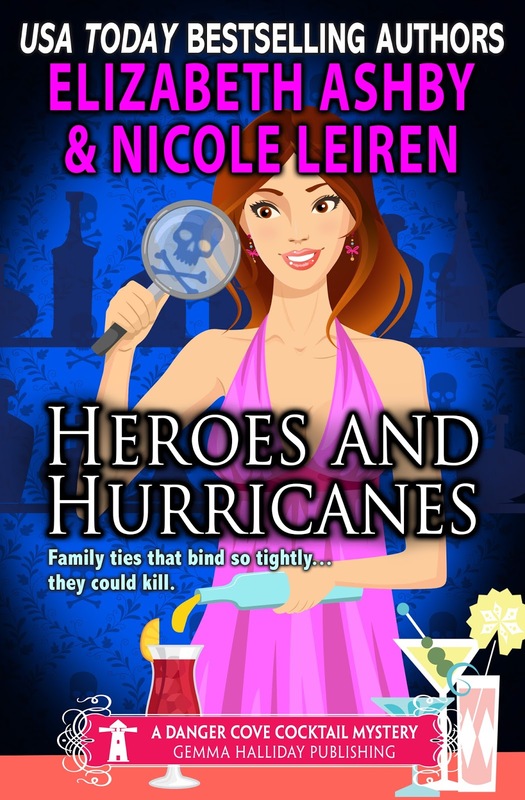 check out Heroes and Hurricanes or her newest adventure, Deadly Dirty Martinis. 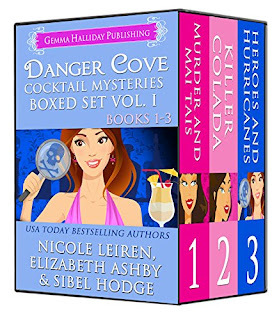 For everyone who comments, you’ll be entered to win the Danger Cove Cocktail Mystery Box Set that includes 3 full length adventures for the occupants of Smugglers’ Tavern, including Heroes & Hurricanes. 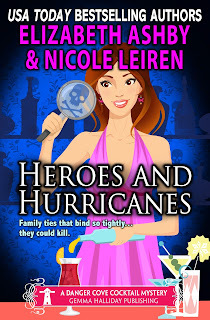 Described by those who know her best as perky, quirky and effervescent, USA Today Best-Selling author Nicole Leiren likes to have fun — in life, with her characters and, of course, her readers. She admits to being sassy (just ask her mother!) and inspiration for her characters are drawn from the real-world heroes and heroines she meets while traversing the country. I love fruity drinks! They remind me of summer and beaches! Thanks for sharing the hurricane recipe.The recipe had me at rum ;)! I will definitely be trying it out soon. Thanks for the information on hurricanes the drink,I never knew the drink originated from New Orleans. Congrats on your book series! I can't wait to find the book series,so I can start reading it! Marlene Ezell here. My crazy phone will only let me comment as anonymous. I would definitely like the virgin version of this drink.Thanks for the giveaway. I would have to have the one without the rum. They do sound inviting. My mom said I was sassy, too. I don't think she meant it in a good way. (that was when I was much younger) I'd love to read your book. Linda- congratulations you were the random winner selected. I'll email you to work out the details. Thanks! Thanks Melinda! They are definitely yummy! I hope you and your co-workers enjoy and that you enjoy your visit to Danger Cove. I love book clubs! Been a guest author at a couple - such a great time. Thanks for stopping by today! My best friend and I would go down to the Quarter and order Hurricanes. We both looked young and would have to show our IDs. They also served a smaller version called a Breeze. Good times. Hi Pat! Maybe I should have tried the breeze as the hurricane I had a Pat O'Brien's did a number on me! LOL thanks for stopping by today! Thanks Donamae ��Thanks for visiting today and I hope you enjoy your visit to Danger Cove! Can't go wrong with those right? Thanks for stopping by today! Thanks Taylor! Hope you enjoy your visit to Danger Cove! I love drinking and reading! Perfect combo! 😂😂😂 Thanks for the opportunity to win these books! Two of my favorite things too! Thanks for stopping by today! I love hurricanes (the drink, not the storm), and really appreciate the recipe for the delicious drink. I'm with you on that Robin! Thanks for stopping by today! Hope you enjoy your visit to Danger Cove! This looks like a great drink for our get together with the neighbors next weekend! Thank yu so much for the giveaway! Definitely a fun drink to enjoy with friends! Thanks for visiting today!